What Is A Focal Point In Art And Do You Need One? The focal point in art is one of the most important concepts you will need to learn as an artist. It is a key point of interest in your painting where you want to direct attention towards. It should be your most interesting point in the painting. Do You Need A Focal Point? It is not essential that you have a focal point for your painting, however it is certainly recommended, especially if you are just starting out. If you do not have a focal point, you run the risk of your painting having no real direction or purpose. But with that being said, there are no absolute rules in art, so if you want to paint without any particular focal point that is perfectly fine. 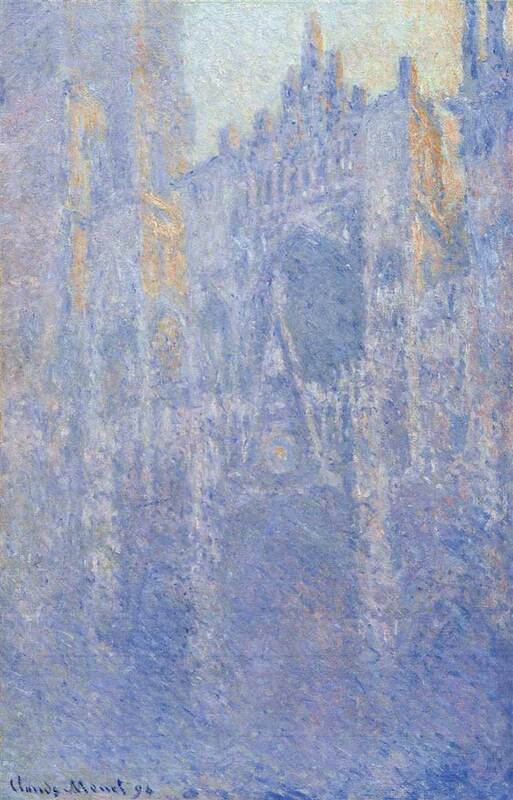 In some of Claude Monet’s paintings, you could argue there is no particular focal point, but instead the painting as a whole is the focal point. In this case, it is essential that there is enough harmony and small points of interest throughout the painting, which Monet was a master of. How Many Focal Points Can You Have In A Painting? You are not limited to just one focal point. Some paintings have as many as four different focal points of similar importance. However, different focal points will compete for attention so I would suggest you keep things simple and limit yourself to one or two focal points in your paintings. If you have more than one focal point, then you should consider making one of those your primary focal point and then use the others as accents. This way you limit how much the focal points compete with each other for attention. If you have two focal points which are of similar or equal strength, then people may be confused as to where to look in your painting. Your focal point is only as significant as you allow it to be in relation to the rest of your painting. For example, say you are painting a seascape and your focal point in the painting is a small fishing boat with an old man and his son fishing on it. If the area surrounding the fishing boat is nothing but calm open sea, then your focal point will be powerful (as it is not competing for attention). On the other hand, if the boat is situated next to an active jetty of fishermen, then suddenly your focal point (being the fishing boat) seems to be lacking any power, as it is now competing with the active jetty of fishermen for attention (and possibly losing). This is the importance of relativity. Relativity is an extremely powerful concept in painting which many seem to overlook. Instead of always trying to make your focal point more active and interesting, you could give your focal point power my making the rest of the painting uninviting in comparison. Where To Place Your Focal Point? "Where do I want people to look in my painting?" Would you want people to look at the bottom corners of your painting? Probably not. The optimal positioning of your focal point is around the center of your painting, but not directly in the center (however this is not a strict rule). 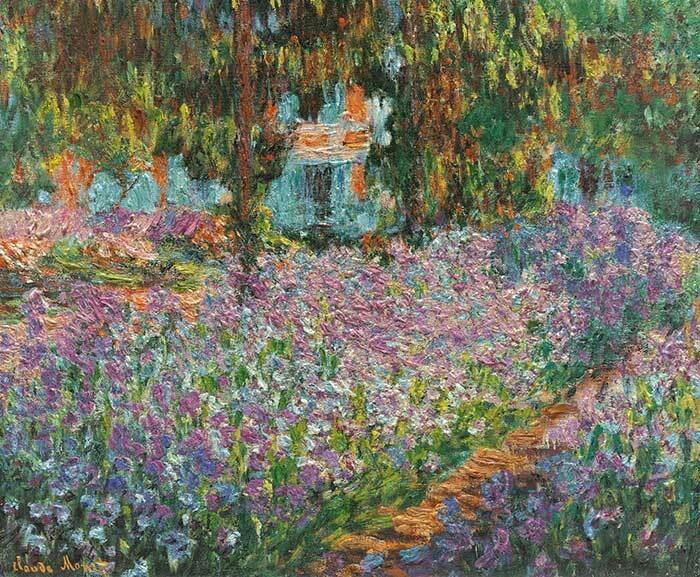 A focal point which is positioned directly in the center of a painting may appear unnatural. An off-center positioning is generally considered to appear much more natural. This article on the rule of thirds should provide some more insight on where to place your focal point. Now let’s run through some master paintings and locate the focal point(s). 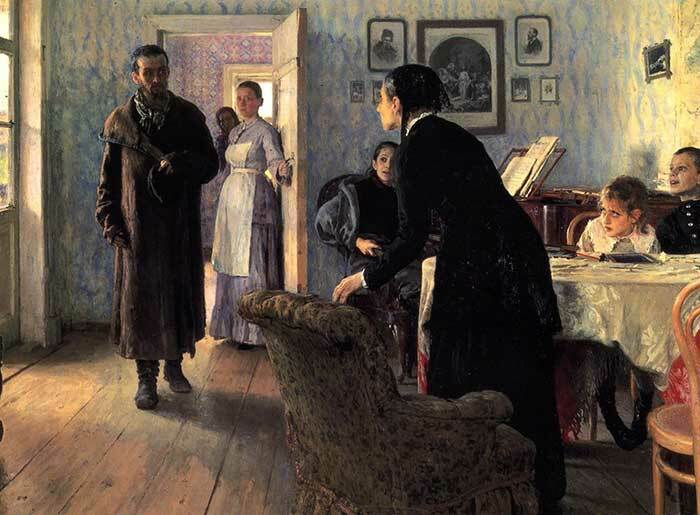 In this beautiful painting by Ilya Repin, the main focal point appears to be around our top left where the ‘unexpected man’ is. There also appears to be a number of secondary focal points, such as the children on our right. 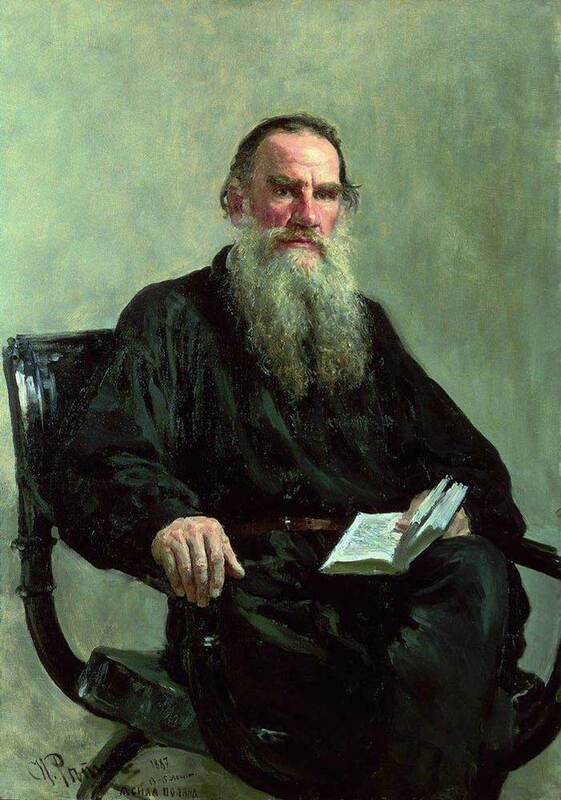 Here is another painting by Ilya Repin. The obvious focal point is the subjects face. A secondary focal point appears to be that book the subject is holding, which contrasts strongly against the warm colors of the subject’s face. 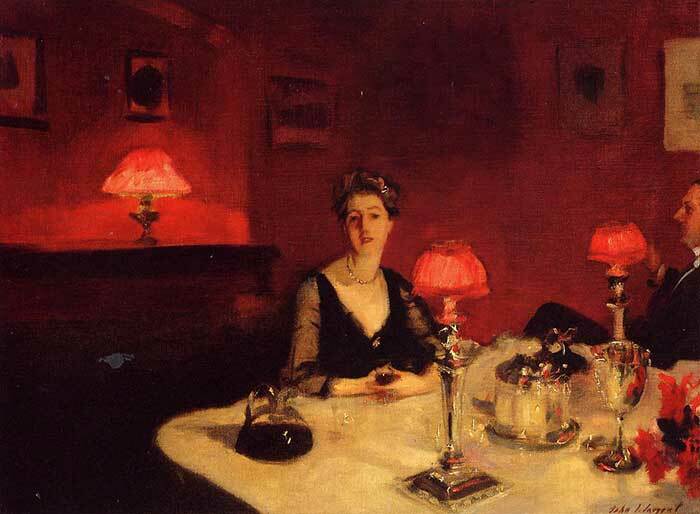 In this painting by John Singer Sargent, the obvious focal point is the women sitting just off-center. But your attention may also be drawn towards the three red lamps situated around the room in a visually pleasing triangular arrangement. Thanks Dan, I just love how you refer to examples by the old masters. I’m in the process of just starting out in the business of art, and I have been researching a lot. I really do appreciate that your emails bring information and not just ‘selling’ something. I’m not quite a starving artist, but I am looking for all the free help I can find, but most of it fills my inbox with little to offer. So thank you for sharing the info. 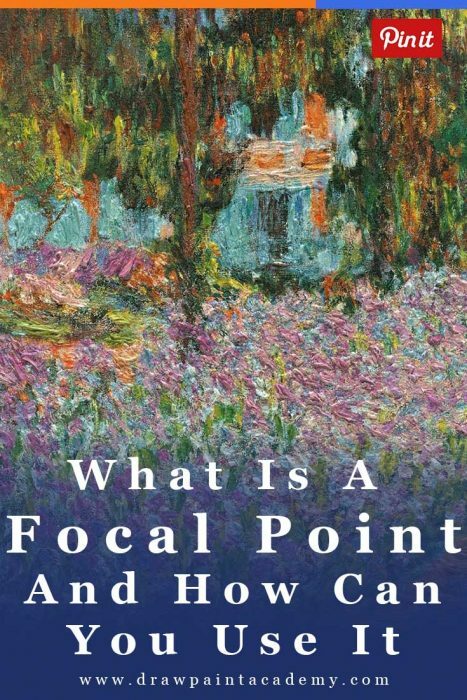 Thank you, Dan Scott for your free teaching re: a focal point; been painting for many years, with much formal training; never thought much about a focal point. Thank you Dan. Reminders of these important factors for focal points are so helpful! The “triangle” lamps was something I had never thought of. Good to know!